Greeting from Rinjani Mountain Lombok Island Indonesia! in this really special moment, first we’re glad to make an introduction, My name SATYA BUDI I was born in Lombok island but I am originally from Bali (Balinese). Why with Trekking Rinjani services? We organize everything: Trekking equipment, food and beverages, guide, porters, transportation, accommodations, including the cost of parking is included in the price. We have been running Mt. 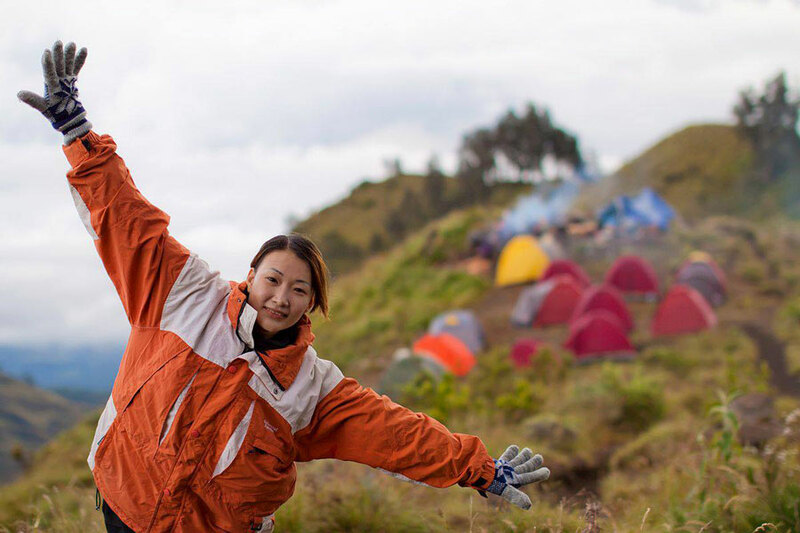 Rinjani Trekking Organizer for more than 15 years. 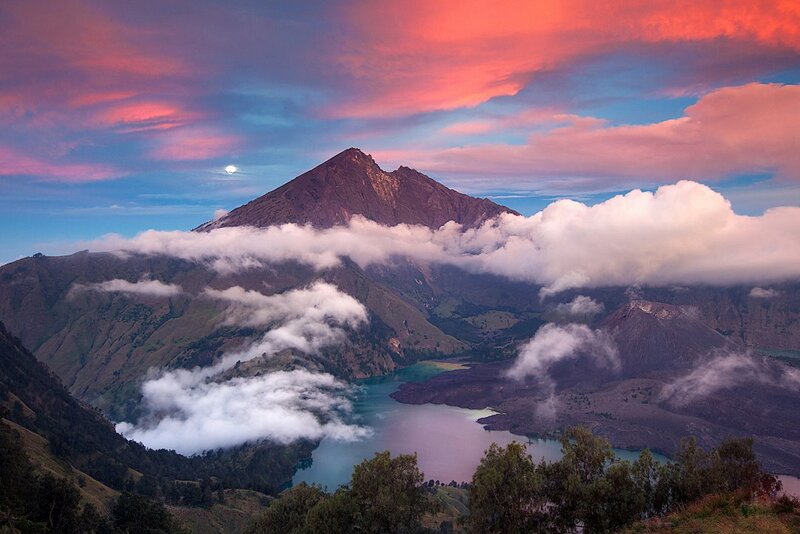 Trekking Mount Rinjani in Lombok Island track is one of the best kept secrets Indonesia. 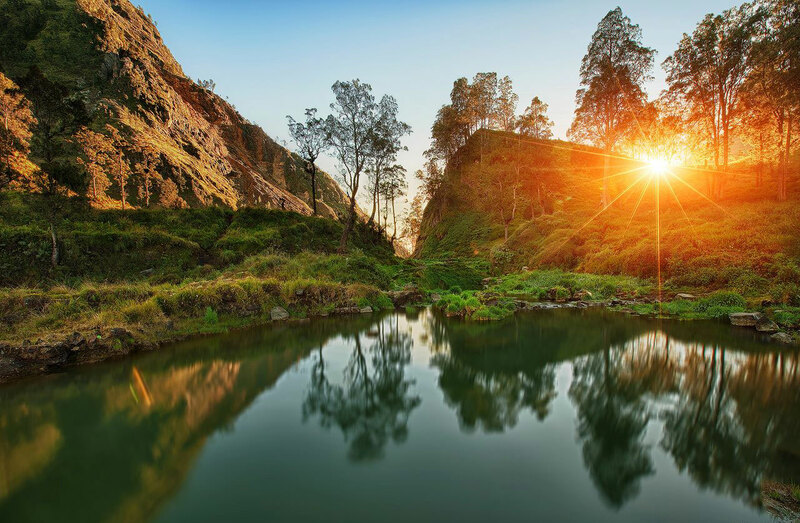 Comparable with the more famous mountain tracks, Rinjani offers adventurous respect scenery, waterfalls, rain forest, wildlife, hot springs, caves, demanding hiking, pristine lake, interesting culture and of course the volcano. 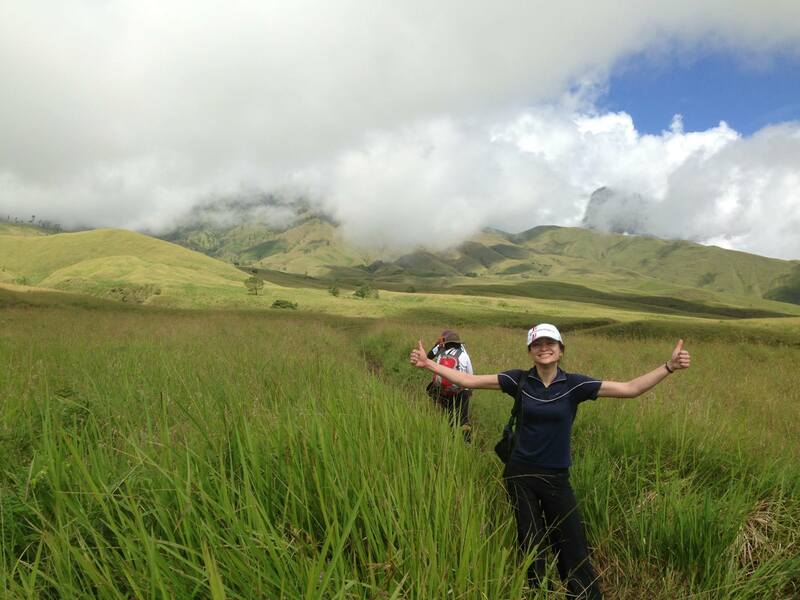 We are the only trekking company that will take you further, to the top of the mountain is really magnificent. Proper sturdy climbing/hiking boots are an absolute necessity as is water resistant, wind resistant jacket, and head lights. If you are going to the top, the use of Poles (sticks) to get through the scree (loose rocks) above is also highly recommended. With 2000m, you’ll feel like you’re not in the tropics again because of rising damp, heat loss and temperature can fall as rain. If inappropriate clothes become wet difficulties will set up as temperatures go as low as 4c peak, often with cold winds is a significant factor in the extra. You must adjust the prepare. Well,… we offer tour packages travel hike to mount Rinjani on Lombok and well into the surrounding islands, we specialize as a guide in your personal relationships when you are in the mount Rinjani, both also in groups together for all activities involving sports and recreation in a beautiful volcano, which specializes as well as for climbing routes that are tough, as both climbers beginners as well as an adventure climb on Mount Rinjani, We also serve the Rinjani mountain climbing every day. Well, please visit our photo gallery album which we update daily on Google+ ClimbingMountRinjani and Follow us Activity Climbing Mount Rinjani on facebook page! I like Hiking Mountain Rinjani because,.. The activity of life is based on the benefits of physical activity beyond the prevention of disease, including better feeling, have fun, socialize with each other, improve our ability to function in everyday life and gain control over our lives, let us take advantage of sports and recreational activities in Mount Rinjani. How to step up the ascent tactics during mount Rinjani? Basically the exercise path. Therefore, the correct walking technique mastery should know in advance. Walking to mount Rinjani, is of course not the same as walking on the sidewalk. 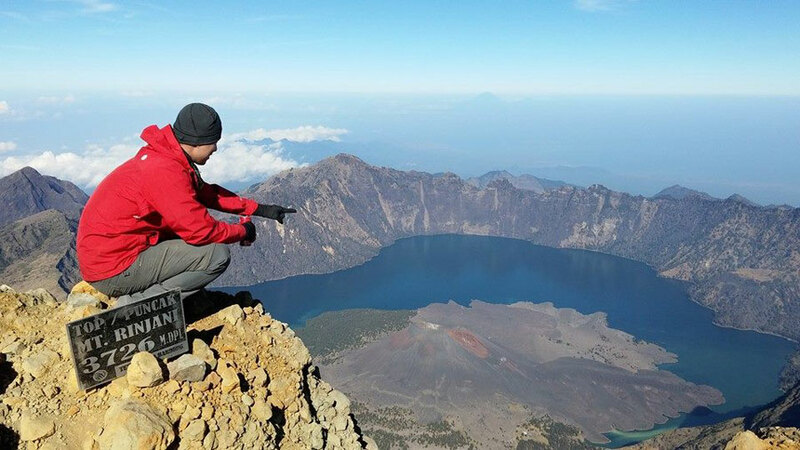 Mount Rinjani, you must be running with weights on his back, in the Valley, Cliff climbing, abseiling, or pursue a hill not far from a height of 2000 meters. With such terrain coupled with the load to be taken then the balance in walking in the mountains is an absolute. You may also want to pedestrians to the other, you have to walk in the rhythm of which remains, in other words, not stiff like robots. There is no change as the dancers, walking in the mountains also has its own art. If the dancers had the pleasure of conducting movements, the climbers are running in a particular rhythm also should be able to feel it as a pleasure, too. There are several benchmarks that must be considered in the running, of course, stepped up, this is the first thing that must be considered. Walk with small steps, do not force the foot to go too wide. The steps that lead to too much often supported by one leg balance for your body because it is easy to wobble. 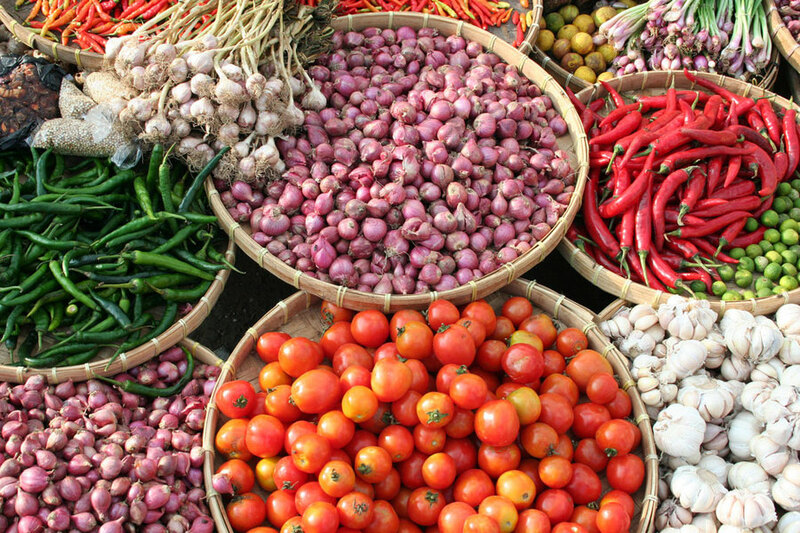 With small steps, weight loss can be firmly supported by both feet. Keep in mind that not only the legs to hold the weight, but it has been coupled with the heavy stuff in a backpack. With small steps, the movement of breath regularly, and this is the best way to save energy. For experienced climbers, running two or three hours without a break common. Of course, requiring strength and stamina that can only be acquired through training and experience are not the least bit. However, as the minimum size must be said that running one hour with ten-minute break is normal. You feel stuck in your life. You see yourself as a lonely child no one cares. No one seems to give an interest in your dreams and what you want in your life. You feel You are interested only in what you want in your life. At this point, You feel sad. Unhappy. You say to yourself-why in the world no one is interested in my dreams. Then You remember: you climb a mountain and it makes you special. But, only you will climb the mountain You, no one will do it for you. What is it the mountain? The mountain is what you want to ride in your life. This is the reason for your existence. This is your passion, ambition and dreams. You want to make a difference. The mountain is your dream to live, love, learn and leave a legacy. This is what you want. The mountain is how you want to spend your life. If you really don’t know what mountain You, write ten things you want in your life, and from then on chose three big things that you want. This is your mountain. Understand one thing – only you will climb Mount – nothing will work for you. Now you will be working for you on the mountain. You will change the mount into individual steps. The goals and milestones. Input the goals where you will see them multiple times per day. For example, the notes tacked on the dashboard of your car. A note on your computer screen. A postcard in your shirt pocket. A sticker on the inside of your purse. Anywhere you will constantly see the purpose. Every time you get stopped by roadblocks of life, do not be sad. Do not give up. No buts. Instead, just look at your destination. Take a look at your mountain. Don’t forget to look for the mountain. When our lives are affected by obstacles-you will find mountain. Your legs will then follow your eyes. You keep it in mind at all times. If you are constantly looking for a mount, you will survive. You will be working to achieve it, day and night. You will find the time and energy required to reach the Summit. Constraints there will be big enough or strong enough to stop you. This is a great trip, and it doesn’t have to stop you reaching Your peak. You are indeed a great mountain to climb. 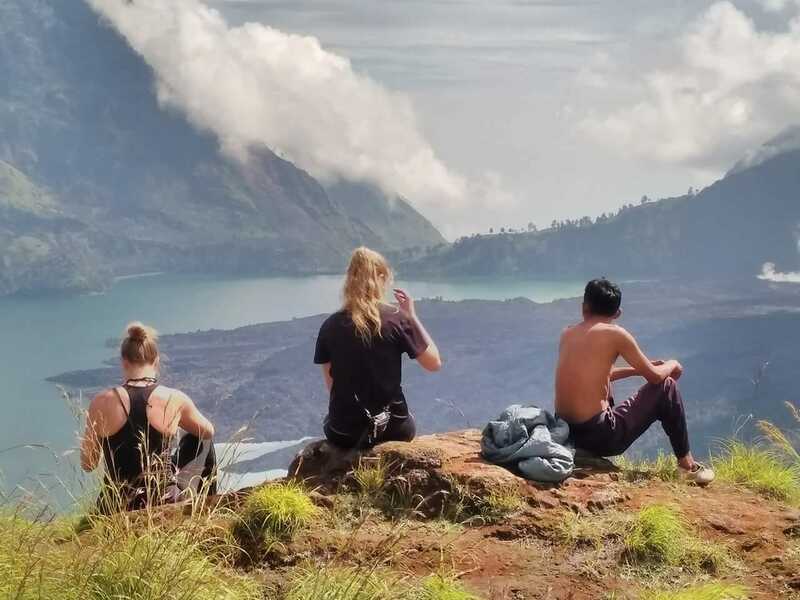 We serve tour and travel package trekking Mount Rinjani, the package consists of 2 days 1 night, 3 days 4 nights, 5 days 4 nights and 6 days 5 nights on the Mountain Rinjani Lombok Island, Indonesia. We specialize in relationship to your personal guide, both of which were also in a group together or as a novice climbers to all activities involving sports and recreation in the beautiful volcanoes, surely you specialize with the experience and adventure climb to mount Rinjani. We have a complete package of information activities, hiking, trekking, climbing, camping and cooking service in National Park of Mount Rinjani, Lombok Island, Indonesia. Please arrange your travel before coming to the island of Lombok, include the name of the participants of your colleagues, how many people are participants of the climbers including you, the name of your flight, the name of your boat, the name of your Ferry, as well as time arrives in the harbour as well as through the International Airport in Lombok, so in a confirmation through our email below. After climbing Mount Rinjani, we offer you option tour snorkel to Gili Nanggu, Gili Tangkong, Gili Sudak and Gili Kedis including boat, mask, swim fins and sea food lunch or tours snorkeling to Gili Trawangan surrounding areas including boats, masks, swim fins, life jacket, of course your soreness is recovered.